No matter how long you intend to take your boat out on the water, safety should be the first priority. It is always better to be prepared! The best way to do this is to create the ultimate emergency kit - think of anything that could possibly go wrong, and gather the materials needed for each situation. Your boat also needs to pass inspections, so some of these materials are already required in order to have low insurance costs and permits. All other items are simply beneficial to carry on your vessel in case of an accident. Life Jackets/PFDs: West Marine has a wide assortment of life jackets to choose from! You need one for each person on board at all times. 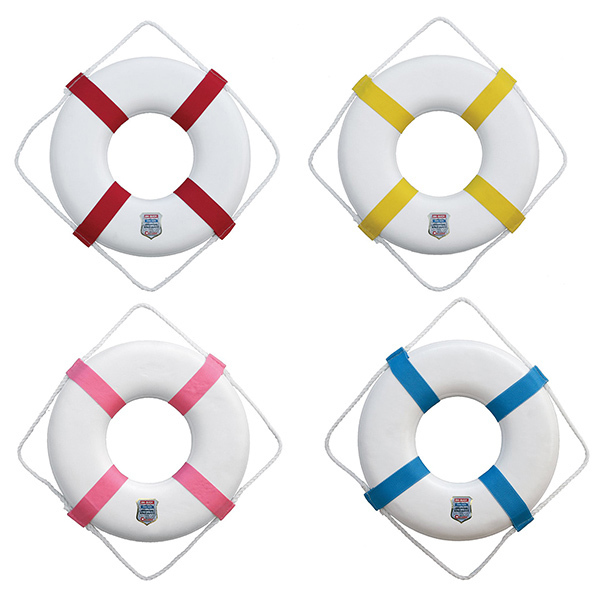 Flotation Device: A ring buoy is needed for boats 16’ and up. Distress Signals: The US Coast Guard provides a PDF at the bottom of this page that explains visual distress signal requirements for each vessel type. Sound Signals: If the boat is under 40 feet long, you should make sure to bring a whistle or horn that will be heard up to one mile over land or sea. Boats over 40 feet long should carry both horn and whistle. Desalinator: A desalinator is one of the more pricey items on the list, but it will save your life if you are ever stranded in the ocean without drinking water! Dry Container: It is vital for you to get a dry container to keep all of these items in so they do not get damaged. 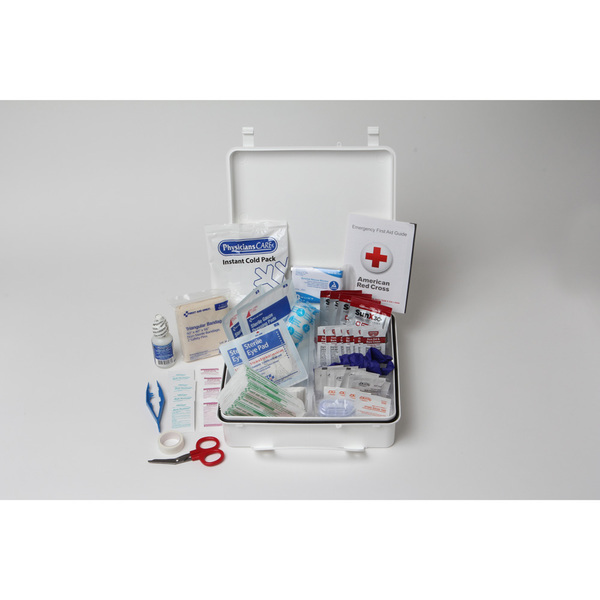 For your first aid kit, you will need the essentials: bandaids, gauze, eye wash, tape, scissors, tweezers, emergency blanket, burn gel, etc. Some other necessities for being on the water are motion sickness tablets and sting treatment for jellyfish stings (do NOT use urine). This 98 piece kit has all of the above, so it is perfect for multi-day offshore trips! Rehydration salts are also great to have in the first aid kit. These can be homemade, or you can skip the hassle and simply buy some Pedialyte packets. Toolkit: Create your own tool set and buy the individual tools you know will work for your boat. Anchor and Chain: When determining how much chain you need, find the water depth you plan on boating in and multiply that by five. VHF Radio: You can find both handheld and mountable VHF radios here. Float Plan: Always have a float plan ready to go when you take the boat out. The US Coast Guard has a downloadable one. Make sure to check your local laws for more boat requirements and recommendations. Before you go boating, you need to be prepared! Accidents can happen, but they can also sometimes be prevented by following these tips and packing your vessel with these safety items. Being attentive and ready for mishaps will save time, money, and lives!